Bienvenidos a and Bienvenue a ("Welcome to" in Spanish and French) Day #6 of Chocolate and Venezuela Theme Week. 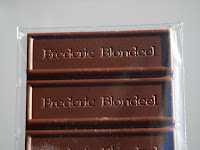 Spanish, French and English are all appropriate this week as we taste-travel from Venezuela in South America (a birthplace of prized Criollo Cacao) to Belgium in Europe (known for its smooth, thoroughly and impeccably conched chocolate), and to the U.S., where we're big consumers of, and increasingly appreciators of, fine chocolate. 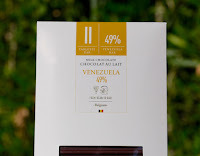 Today's Milk Chocolate (Chocolate au Lait) Venezuela 49 percent cacao bar was manufactured by Frederic Blondeel (Belgium), and imported to the U.S. by Chocolate Stars USA (Fairfield, NJ). The bar, neatly scored into 5 segments, had a faint aroma with a very faint, slightly plastic note. The melt and the creamy mouthfeel were fantastic. 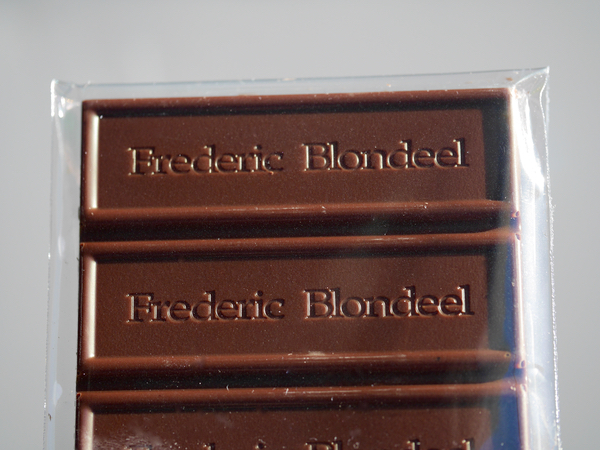 The bar had an even milk chocolate flavor and a relatively clean finish. It's always difficult to know whether the addition of milk will make chocolate less flavorful or not. But, for those who prize smoothness, it may not matter. 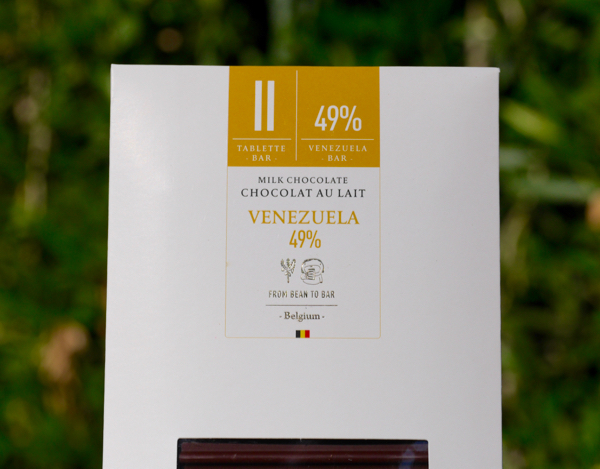 Tomorrow, we'll sample another milk chocolate bar made with Venezuelan cacao, from Philip Marks Chocolates (made in Burlingame, CA).